Do you have to invite several guests, but do you only have the contact information for one of them? No worries, we got you! 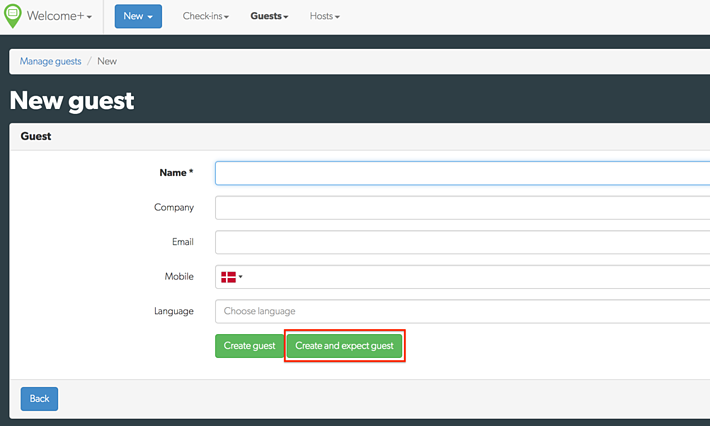 You now can add a guest to the guest list in the reception without having an email and telephone number on your guest, i.e. if you are expecting several guests, but you only have the information for one of the guests. This way you can add all of the expected party to the guest list in one go! How about ordering deliveries for an entire conference? You now can! We are thrilled to tell you that you can now order deliveries for an entire conference, company weekend or multiple day workshops etc. If you book a meeting with at least one resource/meeting room for multiple days (>1 days), you are now able to select which day of the event you want a specific delivery delivered. This way you can have multiple orders on day one and multiple orders on day two and so on - all with individual delivery times. Want to get notified when you have a new order? We have taken care of that! You know can select a receiver of all new orders coming to the Meeting+ Manager. The receiving email can be a unique person, or it can be a shared mailbox, e.g. “Kitchen Orders – kitchenorders@yourcompany.com”. This way you will never miss an order again! Happy to save time and make fewer clicks with your mouse? Guests are now quicker to be checked in! We are sure all your great receptionists will love our last two features and improvements for September. This means you now have easier access to new guests and check-ins, and you should hopefully save both time and clicks going forward! Also, when you create a new guest, you have the possibility to add this guest to the expected guest list – directly from the “New guest”-menu. So, you are saving clicks and loading times, and you should feel the registration flow is smoother. 5. “Check-ins” are now more simplistic and easy to manoeuvre. We have made it simpler and more intuitive. 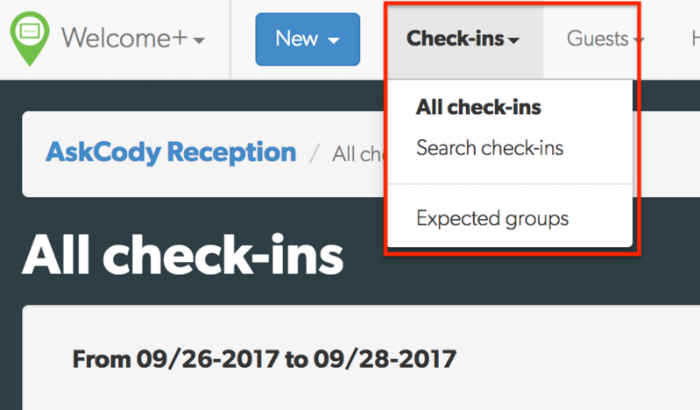 Under “All guests” you see your checked in and expected guests, under “Search check-ins” you see your onsite and offsite guests for your preferred timespan, and under “Expected groups” you see your expected groups with guests visualised as per usual with the gradient bar. This way you should have easier access to your expected and checked-in guests directly from the “main screen”, and your offsite guests do not clutter up your view. These were the five features and improvements for September! We truly hope you are going to enjoy them! If you have any feedback, please do not hesitate to reach out to your CSM. We would love your input!